Listen, EA, you're one of the biggest video game publishers in the world. It's not my place to tell you what to do, and far be it from me to say that you have to support Android's standard online and social gaming featureset in your games. But it would probably be a good idea. Case in point: the over-the-top basketball game NBA Jam. The title just got updated with Google Play Games support. To be fair, the game came out way, way back in early 2012, more than a year before the Google Play Games system was implemented. 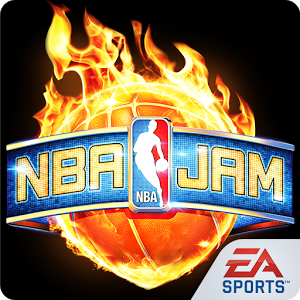 But that still means that NBA Jam has been sitting on the Play Store for a year without Play Games. Obviously every single game made before last summer can't be upgraded, but again, Electronic Arts is an international corporation with revenues in the billions of dollars, not Joe Indie punching out 2D games on his iMac. Some faster updates would be in order, I think. Ahem. Anyway. With the addition of Google Play Games support, NBA Jam players can now engage in online matches with friends or randomly selected Google+ users. (Local multiplayer via WiFi or Bluetooth is still supported.) Play Games also includes worldwide leaderboards and in-game achievements. 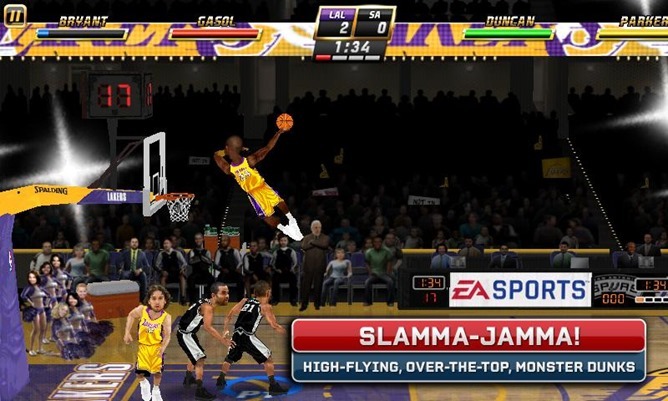 NBA Jam is the same $4.99 price it was when it launched, plus a few in-app purchase options. International readers, go for the bottom widget below - like all EA Android games, NBA Jam is split into versions for North America and everywhere else. [Weekend Poll] How Often Do You Use Google Voice Commands On Your Android Devices?